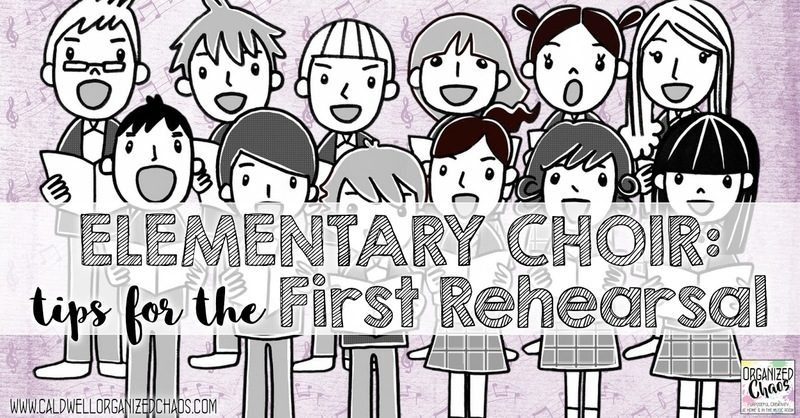 So you've got a whole bunch of eager singers signed up for your elementary choir class. You've got a very short amount of time to establish procedures, assign seats, and take care of other logistics to make the rest of the semester runs smoothly, but you also want to get them SINGING because hey, that's why they're here, right? 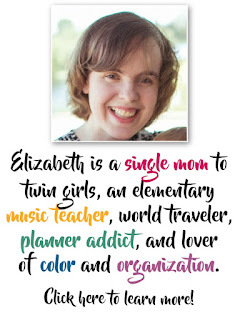 Today I want to share my basic lesson plan for the first day of elementary choir that ensures I am setting the right tone, taking care of logistics, and getting kids singing as quickly as possible so they leave the first rehearsal excited about the next one. The very first thing I do when students walk into the room on the first day of choir is talk to them about my behavior expectations. I do this before I even show them where to sit- on the first day I tell them to come in and sit down on the floor so I can talk to them first. I've narrowed my speech down to 2 basic components: 1) there is no speaking at all in choir, and 2) we don't have time to mess around in choir. You can read more about how and why I establish my very strict no talking policy in this post on Elementary Choir Rehearsal Procedures, but the basic idea that I try to communicate is that we are here to SING, and talking takes away from that. It both establishes my high expectations and gets kids excited about the right thing: singing. The second point is primarily where I reinforce what I have students and parents agree to when they sign up: after a certain number of disruptive behavior incidents, you can no longer participate in choir. For me, because choir is a pull-out elective class, I can use this consequence. Depending on how your class is set up, you will of course have different consequences, but whatever they are it's important to make them clear from the beginning so you don't have to argue with anyone about it or waste rehearsal time explaining it later! I also make it clear that I can't take a bunch of rehearsal time to sit and chat with individual students about behavior like I might in general music, and I explain my process for enforcing expectations (I silently point and they go sit out for a few minutes to give them a "reminder", and after that they get a note sent home- 3 notes in a semester means you can no longer participate). It's worth noting that I've only had a student dismissed from choir twice in 5 years- once students (and parents) know you're serious, it tends to become a non-issue for most students. My goal with this part of rehearsal is to keep my "speech" as short as possible while making sure I communicate both the seriousness of my expectations and the fun I anticipate having as a result. Once I've established my expectations, I enforce them for the rest of rehearsal, even as we go over logistics etc. It sets the tone for the rest of the semester so I'm very strict with them! Once I've established my expectations, I show them their assigned seats. I always give the caveat that I may move them around once I see and hear them in their spots, but I do always start with a premade seating plan. The one exception is when I'm coming in to a new school and don't know any of the students. In that case, I make mental notes as I give my behavior speech and assign seats on the spot based on those observations. This is a great time to reinforce how serious I am about the no talking rule as they wait to hear their name called! Now that they're in their seats, I walk them through the most essential parts of the rehearsal routines and procedures they need to know so they are ready to start rehearsal the right way the next time we meet. 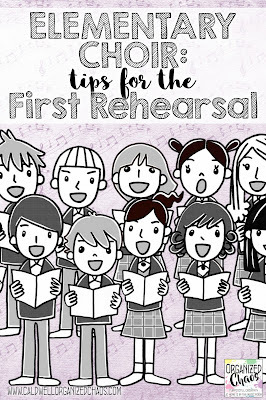 This includes procedures for entering the room, getting out folders/sheet music (more on that in a future post), and routines for the beginning of rehearsal (for me that involves stretching and vocal warm-ups- read more about my routines/procedures in this post and see all of my favorite vocal warm-ups here). As much as possible, I have them practice doing each of these procedures. I never want students to leave choir without singing! I always want them to walk out of the first rehearsal excited about singing, so my goal here is to choose something that feels good to sing, is quick to put together, usually involves some movement, and sounds cool in a large group (which usually means having some kind of partwork happening). Usually I choose a round/canon for this purpose- read about how I teach rounds and see one of my favorites to start with in this post- but sometimes I'll also pull out a short phrase or section of music from their concert literature if it is easy enough to learn, or choose a silly song with actions like these. A lot of this will depend on how much rehearsal time we have and how experienced the singers are, but it's important for everyone to leave feeling excited about singing! On the topic of leaving rehearsal feeling excited: I always end rehearsal with positive affirmation. My favorite way to do this is by telling the teacher who picks the students up how awesome this group of singers is and how excited I am for the semester ahead. But out of the 3 choirs I teach, only one is picked up by a teacher. For the students who are dismissed by me, I make sure to tell them how excited I am and how great they sound directly. It may seem like an obvious thing but with everything we are trying to juggle in our brains as teachers in that first rehearsal, it's important to make it a priority! The number one thing I try to remind myself of before the first rehearsal is the importance of my energy level and enthusiasm! It's hard sometimes, when I'm using a lot of mental energy to remember all the logistical things I need to address, thinking about that last lesson that bombed, or just feeling tired from the start of the year/semester, to muster up the energy to make the rehearsal as fast-paced and positive as I'd like it to be. It really does set the tone for the rest of the rehearsals, though, and affects how students view singing as a whole, so I try to keep that at the forefront of my thoughts. I love teaching elementary choir, and I can't wait to welcome a fresh group of students this week in my choir classes this way! 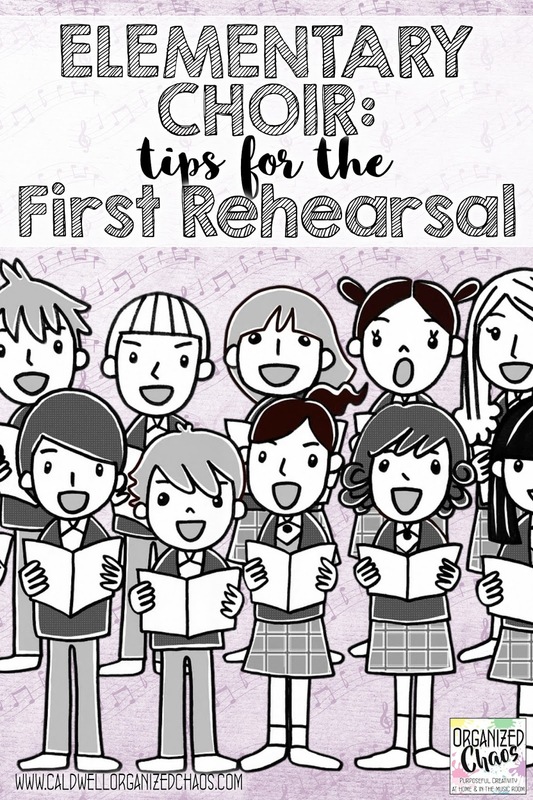 What are your top priorities for your first rehearsal with elementary choir? I'd love to hear about them in the comments! 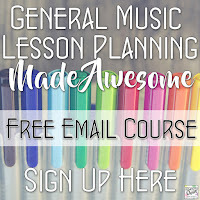 Want more timely, useful ideas and resources to maximize your creativity and organization in and out of the classroom? Click here to sign up for the Organized Chaos newsletter!